Home / Media / Oxford Official Walking Tours celebrates International Tourist Guide Day with free walking tours of Oxford for residents. Oxford Official Walking Tours are celebrating International Tourist Guide Day on the 21st February by offering free 1-hour walking tours of Oxford for Oxfordshire residents. Free tours are available at 10.30am and 1.30pm and will depart from the Oxford Visitor Information Centre on Broad Street and will include the iconic sites of Radcliffe Square, Old Schools Quadrangle and the Bridge of Sighs. Both tours will be led by professionally trained Green badge guides from the Oxford Guild of Tour Guides. To book a place on the free 1-hour walking tour of Oxford on the 21st February, Oxfordshire residents are asked to call Oxford Official Walking Tours on 01865 686441 and reserve their place. 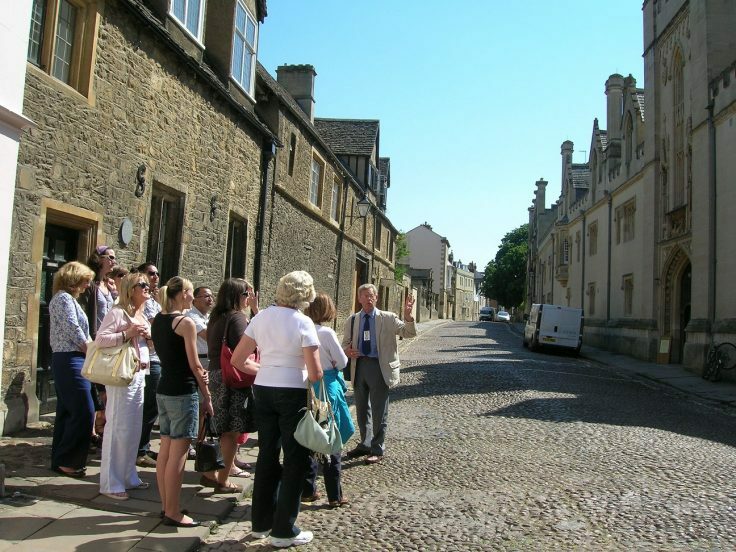 Oxford Official Walking Tours always limit tour group numbers to help ease congestion in the city and ensure that visitors receive a high-quality service and experience. Free places are limited and must be booked in advance. Oxford Official Walking Tours are provided in partnership between Experience Oxfordshire and the Oxford Guild of Tour Guides. Departing daily from the Oxford Visitor Information Centre on Broad Street, each tour is run by a professionally trained and qualified guide who holds a Blue or Green Badge awarded by the Institute of Tourist Guiding, the national professional body. Additionally, each guide is a member of the Oxford Guild of Tour Guides. Tickets can either be booked online, by phone or directly at the Tourist Information Centre. Oxford Guild of Tour Guides is the professional association of freelance guides who provide tours of Oxford and beyond. Their guides have had extensive training and hold the Blue or Green Badge qualifications accredited by the Institute of Tourist Guiding (ITG).